Looking Forward To Field The Global Climate Crisis. Who am I to carry this work forward? I am Avery Sinclair Raines. I am a storyteller. A digital visual artist. A documentarian. A researcher. A rabble rouser. A sister, a daughter, a fierce friend. An advocate. An organizer. A black woman fighting to prove that there is space for me within the world of environmental politics. Fighting towards a truly just transition that forges across all identities and movements, leaving no one behind. It’s simple. My oppressed ancestors were forced to cultivate land and the Earth for the profit of those who enslaved them. My indigenous ancestors and relatives were deeply connected to the land and sea of so-called Southampton, relying on the waters of the Shinnecock Bay for nourishment and spirituality before development on behalf of colonizers threatened our traditions and way of life. My identity is shaped by the struggles of my peoples, both at present and in the past. I believe that the movement for climate justice is much more than building momentum to move off of fossil fuels and restore balance to the ecology that humans and industrialization have threatened. This movement is about getting our people free. For me, freedom and liberation means providing and ensuring safety and security in which all are able to prosper autonomously. Safety and security of thought, physically, and politically. The climate crisis directly threatens these freedoms. The continuation of the fossil fuel industry which profits at the expense of ecosystems and communities the world over will continue to make the rich richer, while the poor become poorer. Who will lose the most when the climate crisis devastates our food supply, water sources, and air quality? Black, brown, red and yellow folks. I work towards obtaining safety for our communities to allow all to truly prosper and thrive. I do this work to get my people free and rebuild our symbiosis with the Earth. The movement for climate justice has been relatively homogenous, comprised mostly of affluent whites with institutional privileges. As a black woman from the South I’ve lived in or adjacent to communities plagued by environmental damage and degradation. From communities engrained in fossil fuel extraction in Louisiana, to those battling over water rights as drought and water scarcity led to the Tri-State Water Wars, to communities fighting against Big Ag. My lived experiences have shaped my worldview in a way that is unique within this movement: I’ve straddled the lines of multiple communities and identities. We know that there are already major struggles in equity in the fight for climate justice. 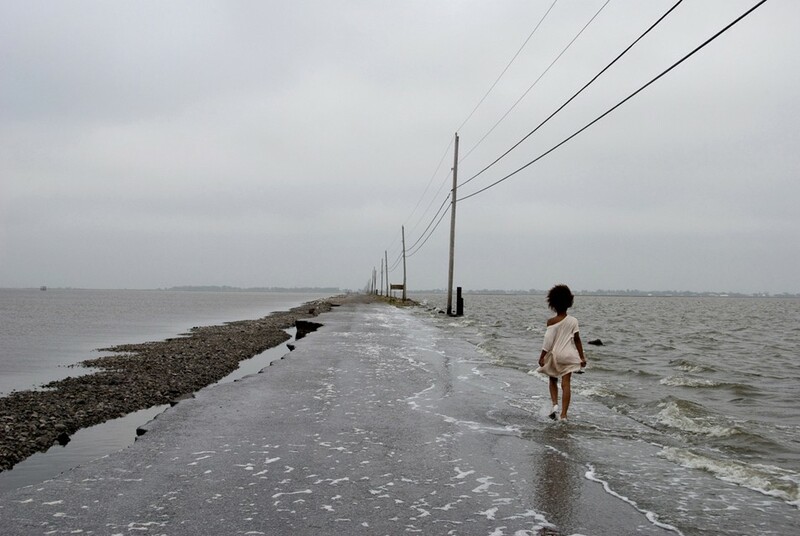 Communities of color will be and are disproportionately affected by climate damage. Yet the core motivation driving my passion is knowing that my voice adds value and insights in spaces often devoid of true representation. Though I dream of and look towards a just and equitable future in which all are able to prosper and thrive, simply put I desire to get my people free. I do this work to lend a voice to those who are often voiceless. My mind works in overdrive, taking into consideration the nexus of achieving true climate justice. I engage in this movement in order to foster and help contribute to the incipient conversation around climate displacement and forced migration due to environmental catastrophes. 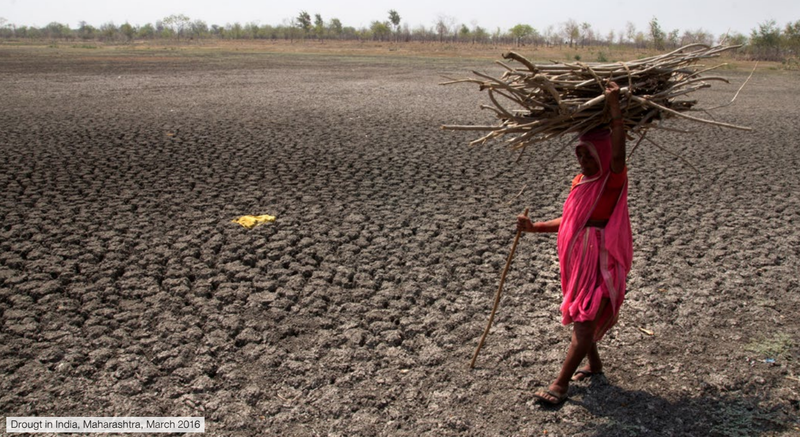 Displacement from climate change will threaten those in the Global South first and foremost. We are approaching an unprecedented global migration crisis and it is my mission to help communities build resiliency through sound international migration policies and through advocating for energy democracy. By building hyper-local renewable energy systems we can literally place the power back into the hands of the people, and out of the hands of predatory fossil fuel companies. I engage in this movement with the aim of de-siloing progressive causes in order to form alliances across issues such as poverty, labor and reproductive justice as the impacts of the climate crisis are so far reaching that no one person will remain unaffected by its damage. I do this work to build a world in which there is space for all. 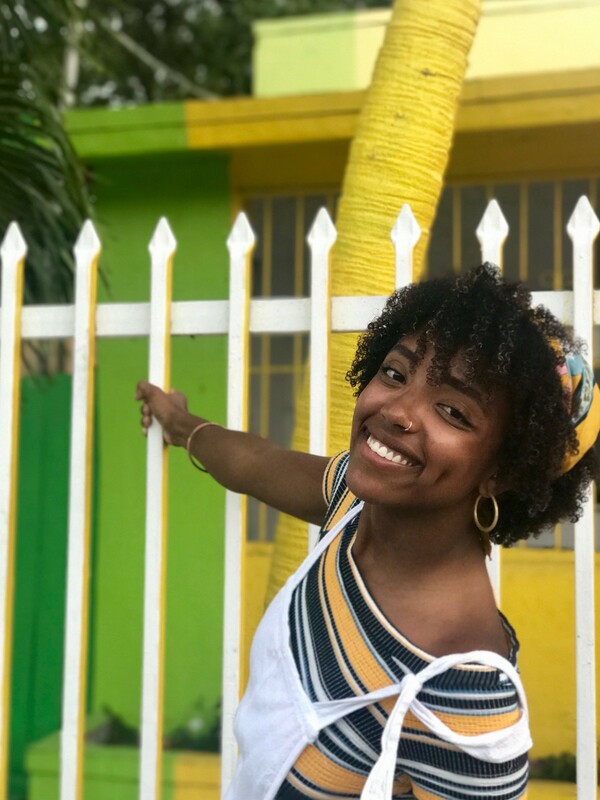 I carry this work forward, connecting global movements for climate justice through digital storytelling and content creation, digital campaigning, and climate displacement research in addition to local organizing in Washington, D.C.
Digital organizing. First and foremost: digital organizing cannot and should never replace grassroots, on the ground organizing. I cannot reiterate this enough. Digital organizing supplements the vital work being down on the ground. Nothing can replace the relationships forged between grassroots organizers and freedom fighters, their communities and the impacts of their work. Nonetheless, I’ve been fortunate to assist in crafting and executing digital strategy for organizations such as Rainforest Action Network and 350.org. Working on a number of campaigns such as a corporate engagement to end the use of Conflict Palm Oil and to protect the Leuser Ecosystem in Indonesia, to Fossil Free, an initiative aiming for 100% renewable energy policies to be adopted in local communities, I’ve come to recognize the value in applying digital strategies to further the work of local communities by getting the word out and accumulating resources previously difficult to obtain in order to be able to disseminate them and empower the grassroots. Connecting with activists worldwide and synchronizing strategies reinforces that our movement is fiercely surging forward. Given the age of technology we live in, digital campaigning allows me to meet people where they are at: on their phones, surfing the web, or browsing social media sites. No matter the platform, more and more environmentalists are becoming engaged digitally and our movement grows stronger as we grow more connected. Digital Content. As the Digital Content Associate for Food and Water Watch and as the Global Digital Content Associate for 350.org I’ve assisted organizers from around the world in sharing the narratives of their work. Telling the stories of grassroots struggles, victories, and assisting campaigners to execute their strategies via social media platforms and visual content production. I’ve been fortunate to play a role in numerous grassroots campaigns from various countries. This storytelling work connects global movements for climate justice as climate justice advocates across the world see this content and recognize similar aspects in their work, allowing a sort of skill sharing if you will. Environmental advocates and activists can exchange strategies, incorporate narrative storytelling into their work drawing attention to their causes and can become inspired by the successes or perseverance of those fighting for climate justice. I create this digital content with the aim of contributing to and beginning conversations between people the world over. The chance that it will resonate with their work and inspire them to try new tactics or potentially liaise with others fighting for a sustainable future inspires me to continue telling the stories of environmental freedom fighters around the world. I will continue this work outside of nonprofit organizations as well through podcasts and interactive content projects with an emphasis on cultural storytelling in the form of documentaries. We must see ourselves in the work of others to form affinity amongst our movements. Climate Displacement Research. Though this facet of my work is in its infancy, I am dedicated to pursuing research examining mass displacement caused by the climate crisis throughout my career and lifetime. I have decided to apply for graduate programs to research the impacts of the climate crisis as it pertains to the displacement and the subsequent migration crisis of black and brown people due to the impacts of resource scarcity, the INGO and international development framework, and neoliberalism. In turn, I am also interested in studying community-based renewable energy systems as a form of adaptation and resilience, also known as “energy democracy,” within our communities. Given my media arts background, digital storytelling to raise awareness and spark conversations around the is one approach I am to take on. Since my interest is in conducting applicable research in this field currently dominated by academics in the Global North, I am still on a journey of discovering how I could best hold this work especially in an academic space. I believe it is vital for black women, people of color, and those lacking academic privileges to have a seat at the table for these issues to be approached through our lens. Our often-intersectional approach could tackle this work across silos, ensuring that this research would help communities worldwide adapt to and hopefully mitigate the catastrophic effects of mass displacement. 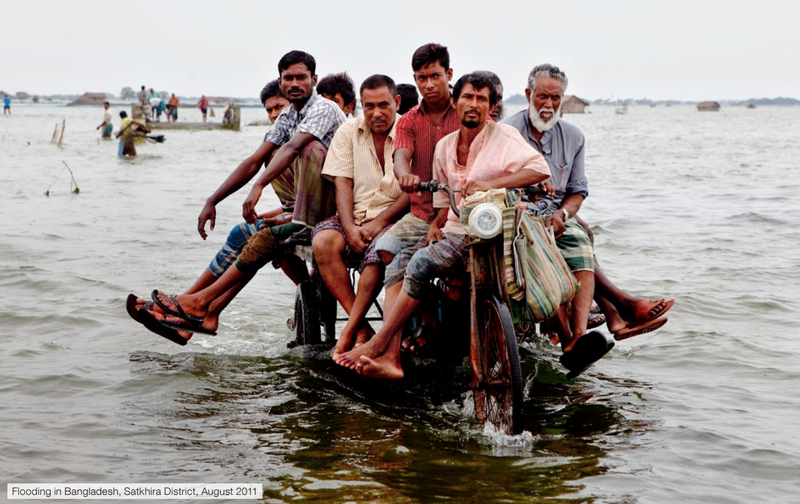 Photo credit: Climate change, migration and displacement: The need for a risk-informed and coherent approach ODI/UNDP report. 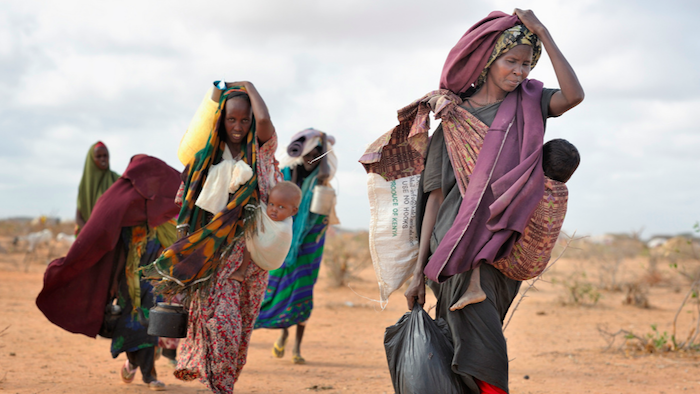 By researching the migration patterns in Africa and Southeast Asia and tracing cases of mass displacement back to extreme weather events, drought, famine and resource scarcity, I examine these patterns to identify points in which we can amend and improve the international migration complex to better absorb and allocate adequate resources to displaced persons. 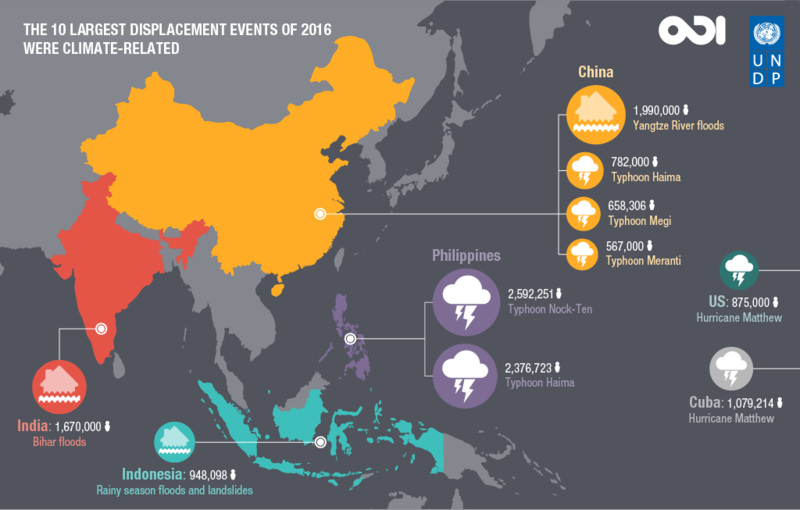 Such global displacement connects us in that we must quickly and intentionally accelerate the conversation and actionably work alongside one another to implement adaptation solutions to alleviate suffering. In turn, I am also interested in studying community-based renewable energy systems as a form of adaptation and resilience, also known as “energy democracy,” within our communities. Such as hyper localized renewable energy systems and a reexamination of our global food system. Ideally my research will better inform international policy despite the flaws of international development. This work is dear to my heart as throughout history black and brown people have been exploited and oppressed by forced migration. Though the climate crisis is already upon us, together our informed communities can work to combat the disproportionate suffering of communities of color and in the Global South. Climate displacement connects not only global movements for climate justice. It connects the fight for immigration rights, the battle against Big Ag, addresses inequity amongst the people of the Global South, and aims towards forging a harmonious future in which all have a fair chance at not only thriving but surviving as well. Our movement will not be hindered by borders. Direct Action. I supplement my work with direct action because organizing gets the goods, and escalation is often necessary. I am Avery Sinclair Raines. Sister, daughter, and fierce friend. A black woman proving that there is space for me within the movement for climate justice. And I refuse to stop fighting for a truly just transition that forges across all identities and movements, looks ahead towards future crises and acts now to leave no one behind.